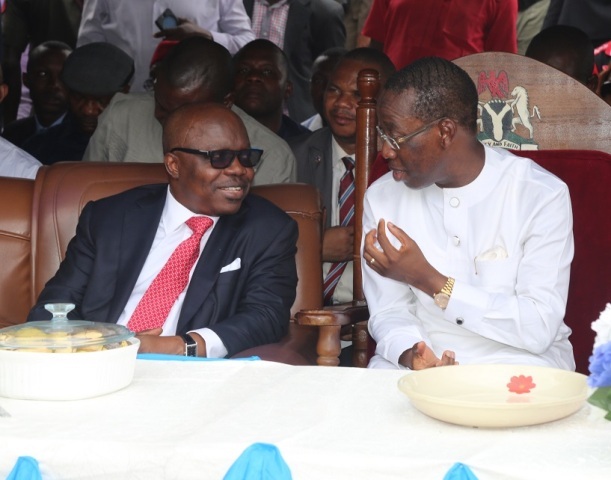 It was practical joy of democracy on 31/05/16, when the Governor of Delta State, Senator Dr. Ifeanyi Okowa, with his predecessor in office, Dr Emmanuel Uduaghan, jointly commissioned projects at Agbor, Ika South Local Government Area of the state, to commemorate the First anniversary of the Okowa administration, which took over from the Uduaghan administration on May 29, 2015. 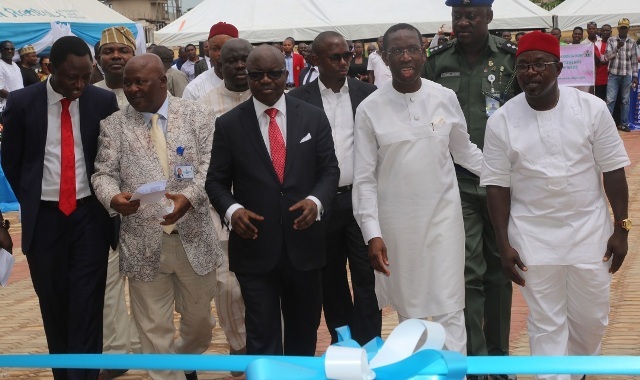 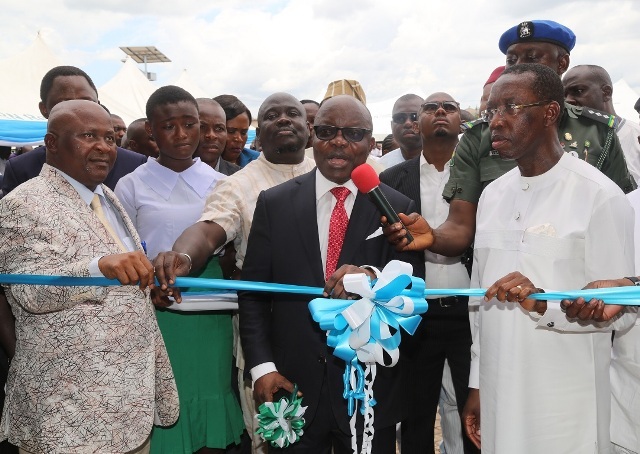 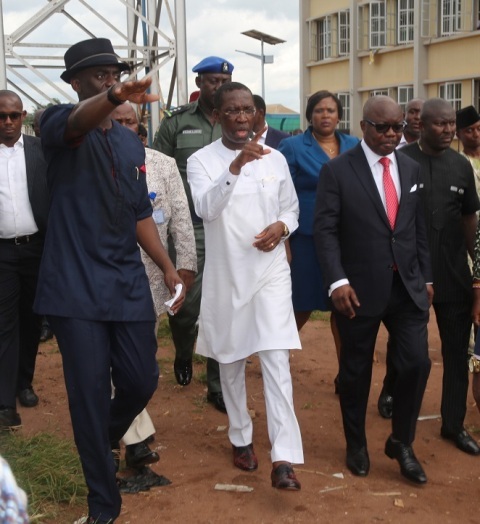 At the commissioning of upgraded facilities at Ogbemudein Model Secondary School, Agbor which was performed by Dr Uduaghan, Governor Okowa recalled that the structure was started by former Governor Uduaghan’s administration. 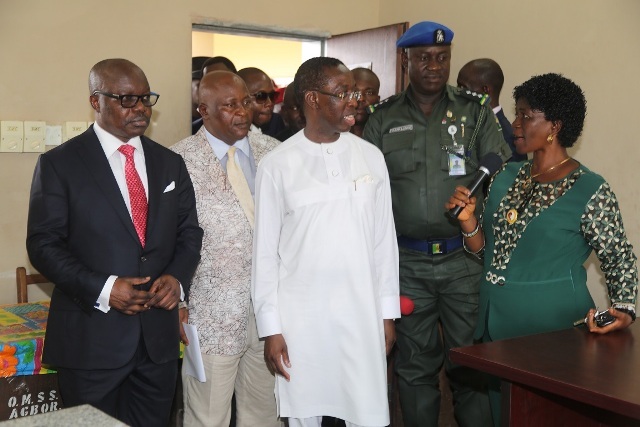 The Governor challenged teachers to carry out their duties diligently and urged students not to toy with their studies to enable them become good parents and citizens in the future. 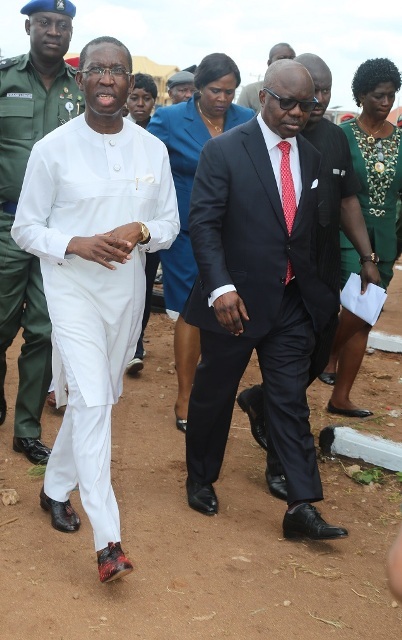 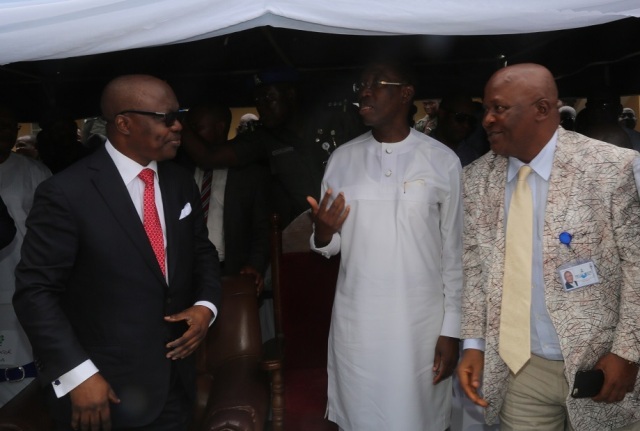 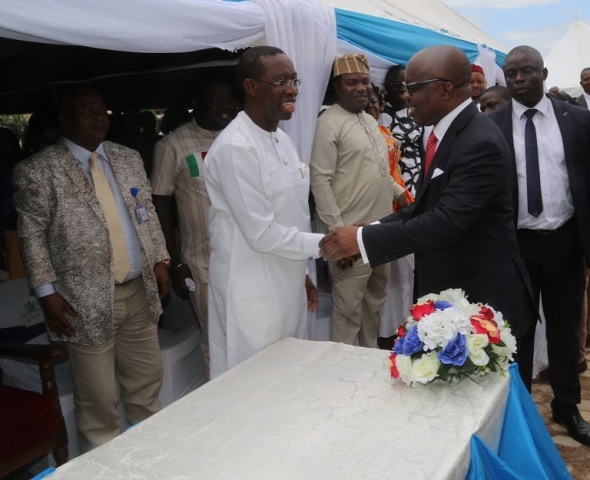 Former Governor Uduaghan at the occasion, eulogized Governor Okowa for his giant achievements within one year of being in office and commended the Governor for inviting him to commission projects as part of activities to mark his one year in office. 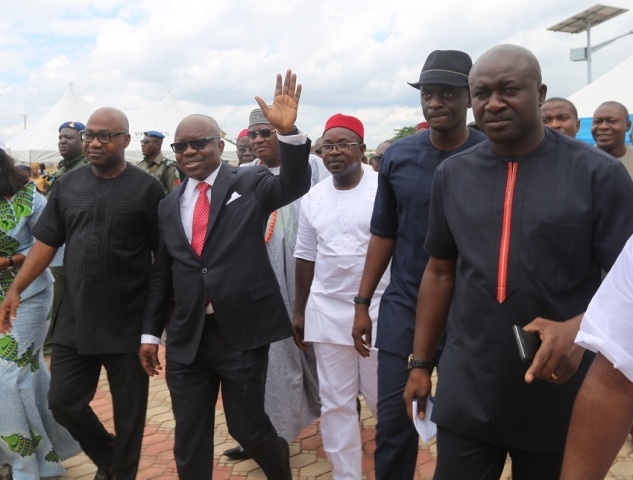 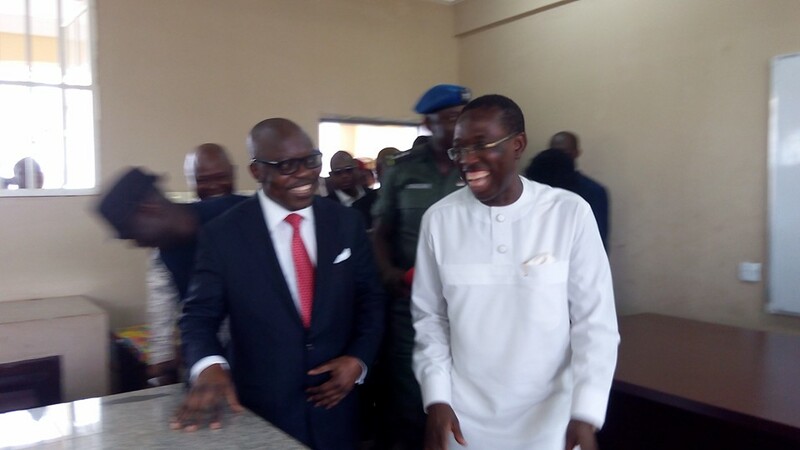 “I want to thank you (Governor Okowa) for inviting me to commission this project, I am happy that you did not abandon the project,” Dr Uduaghan remarked. 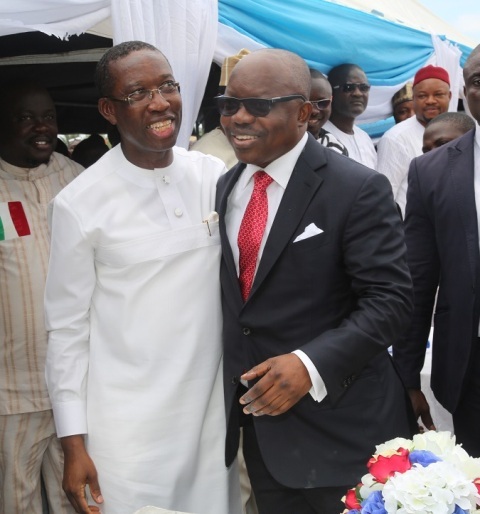 The Obi of Agbor, HRM Keagbokuzi I who spoke through Dr Emmanuel Tibi said they were excited that Governor Okowa had such numerous numbers of projects to commission in his Kingdom within his one year in office.